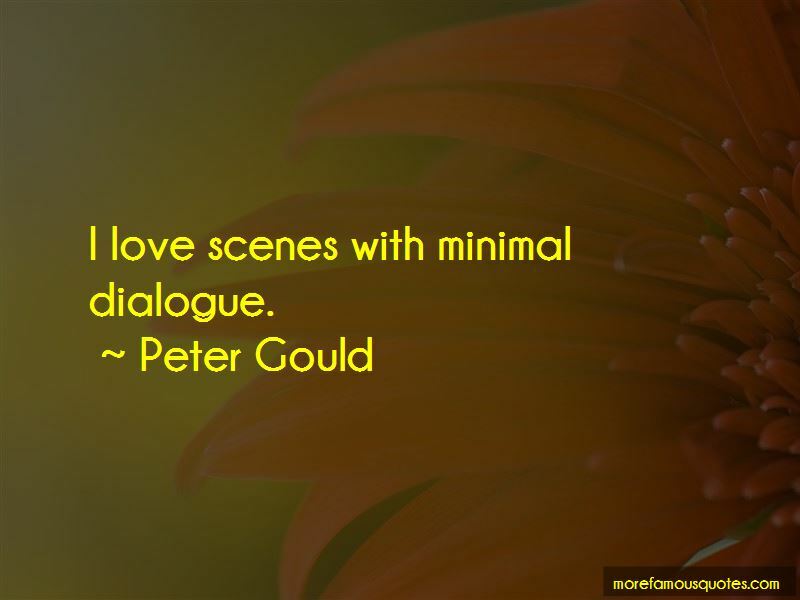 Enjoy the top 16 famous quotes, sayings and quotations by Peter Gould. “Have you ever been writing something when you just forgot where you were, and what time it was, and you kept diving down deeper into your words? past them, and way further down into someplace out. They say desire is this endless loop. You can't get out of it even when you get what you desire." "Because as soon as you get what you want, you're going to want it again, or want more. And since you can never really be satisfied, you suffer. Or if you use up what you desired, you suffer even more. 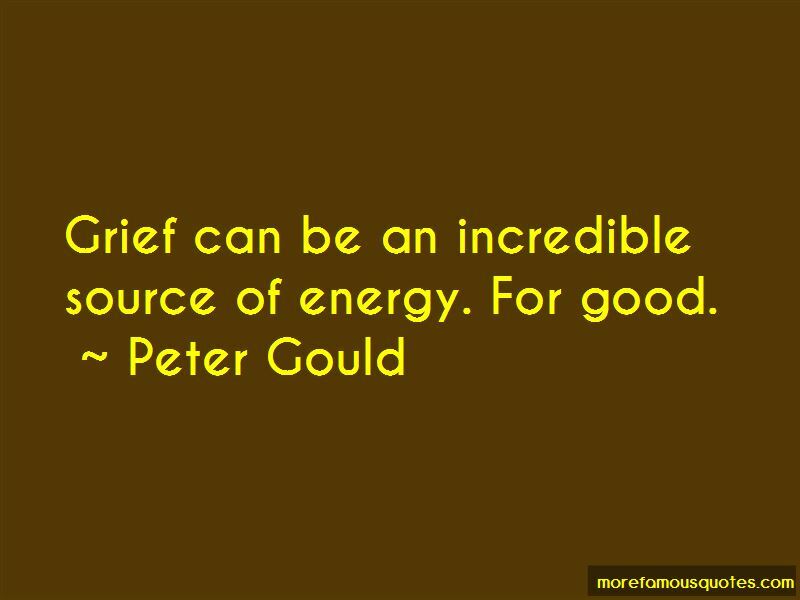 Grief can be an incredible source of energy. For good. “Has it taught you to look at things different?' he asked. i thought, How does he know about all that? But i didn't have to ask him, because he just nodded toward his house. I love scenes with minimal dialogue. 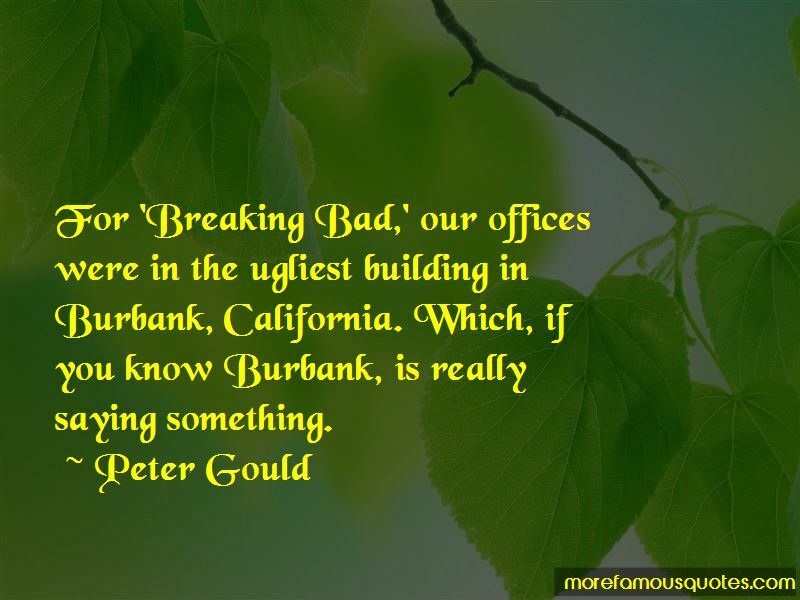 Want to see more pictures of Peter Gould quotes? 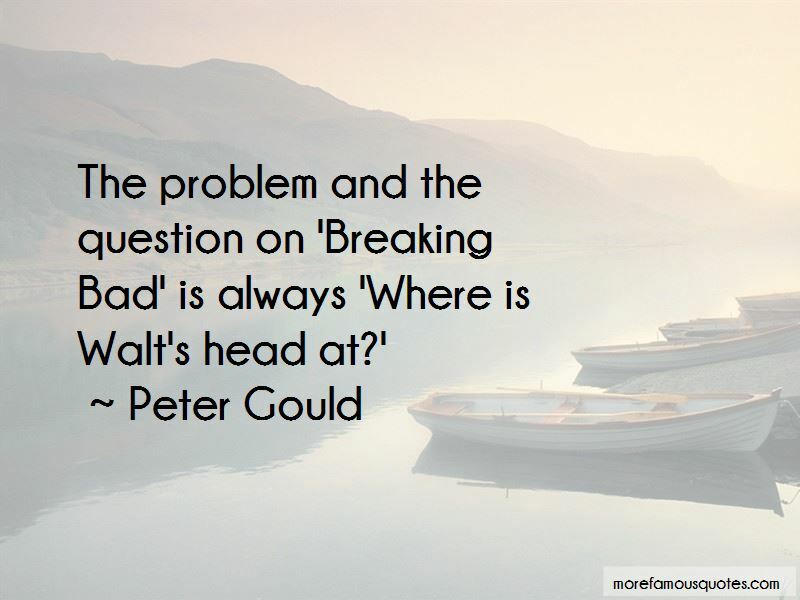 Click on image of Peter Gould quotes to view full size.